The Kwara State Chapter of Peoples Democratic Party (PDP) wednesday, blasted the All Progressives Congress (APC) over what it described as the party's latest reckless and undesirable comments on the Senate President, Dr. Bukola Saraki. 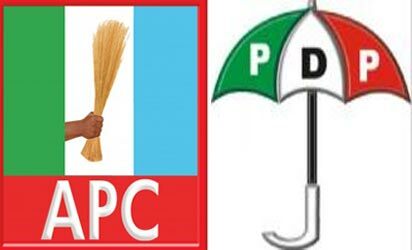 The statement read: "We advise the APC to face the confusion and troubles generated by the compromised conduct of its primaries across the country rather than go into a frenzy over the outcome of the PDP presidential primary election. "It is utterly shameful and unfortunate that a party that prides itself as a �progressive party� could not organise peaceful, acceptable and rancour-free primary elections in different parts of the country. "It therefore, amounts to misplaced priority for such a party to poke nose into the affairs of another party. This also shows that the party has run out of ideas." The PDP further noted that the Senate President, Dr. Bukola Saraki is not �in any way worried by the outcome of the PDP presidential primaries, which he demonstrated in his speech after the election on Sunday. "Dr. Saraki had already declared that he and other presidential aspirants of the PDP are ready to walk and work with the party's presidential candidate, Alhaji Atiku Abubakar to emerge victorious in the 2019 general elections and dislodge the APC government," they said. The party, therefore, urged President Muhammadu Buhari and the APC to start preparing their exit from Aso Rock, stressing that "Nigerians are ready to send them packing in 2019, as they can no longer tolerate the hardship and poverty the APC government has caused them."